Wow. Times like this, I wish I lived in the U.S.
Yeah, you just want to hear the guy having the flashback to Woodstock, right? 🙂 So, is there not free Shakespeare in the park in Europe? It’s pretty ubiquitous in the US. Of varying quality, I’m sure. This was nice. Or are you jealous of the original staging practices? I think these seem pretty unique around here… not many doing this, but I like it very much. There is no free Shakespeare in the park anywhere around me (in the Copenhagen area), that’s for sure. There might be some in England, conceivably. We have maybe one or two Shakespeare plays a year in the royal theater, or elsewhere in the country, but it’s really very little. Considering this, I’m pretty amazed that so much is done for the arts in the U.S. These free performances, are they supported with state funds, or are they just arranged and organized by ordinary people in drama clubs? 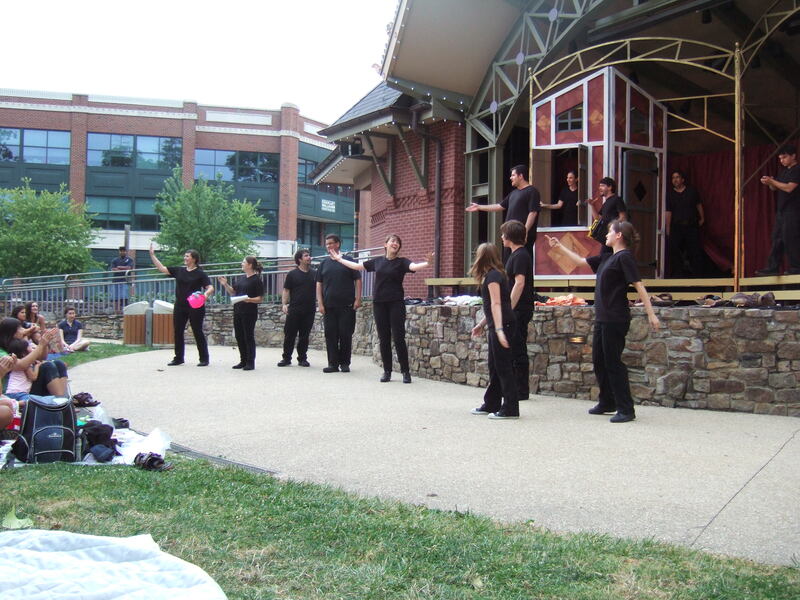 Where I live, there are free performances of all kinds (lots of free concerts, kids’ shows, etc.) offered all over the place all the time during the summer! Seriously, any given weekend night, there are like 4-5 free shows/concerts I could go to within a couple miles of my house. I don’t have to look far for free entertainment. I think it’s mostly underwritten by local government with grants/donations from local companies. The free Shakespeare thing is a summer tradition I’ve seen offered pretty much everywhere I’ve lived over the years. I shouldn’t say it’s available “everywhere,” as I have only lived in a few places. 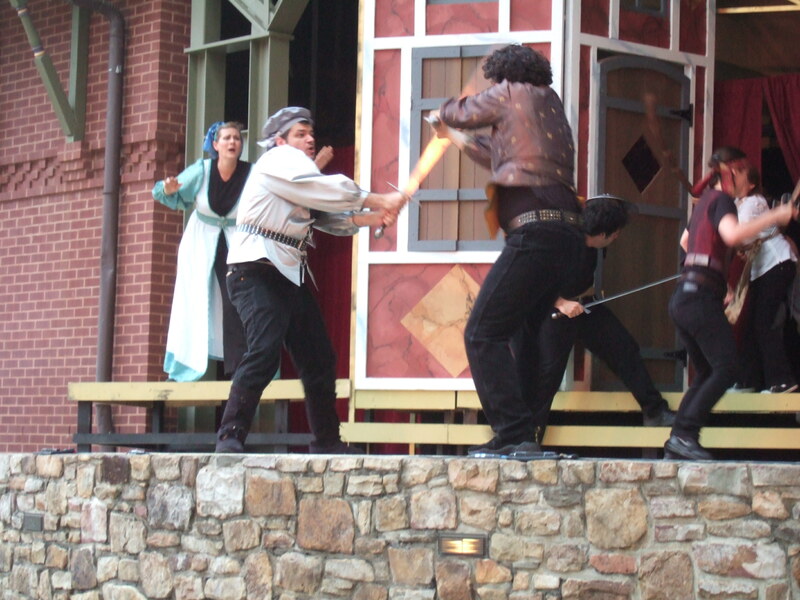 My guess is that most large cities in the US offer free Shakespeare performances during the summer, and many small towns have a visiting troupe like the one that came to my town. I know Washington DC has had free Shakespeare for many years… here’s the one coming up in DC: http://www.shakespearetheatre.org/about/ffa/ And it’s also sponsored by corporations and local govt. Also in DC, there are pretty much always several Shakespeare plays in performance at any given time (tix can be pricey, though). 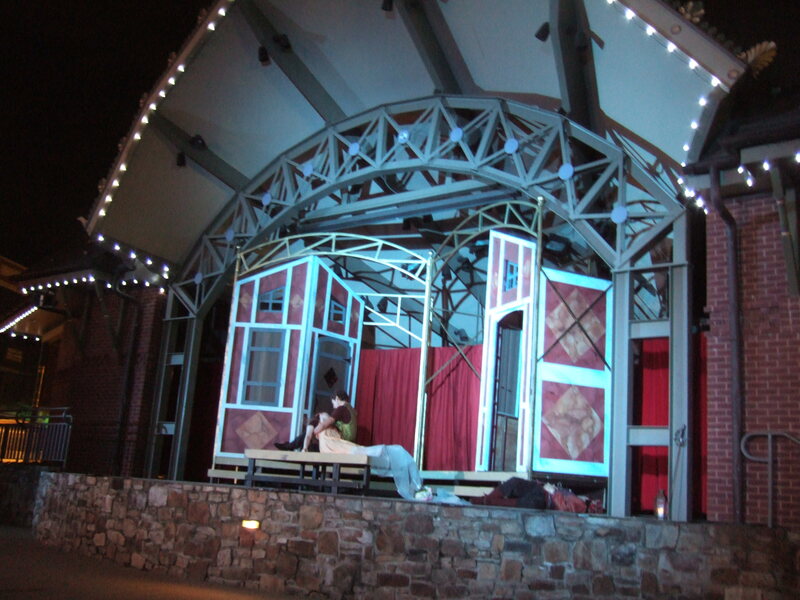 We have the Shakespeare Theater Company and the Folger downtown. 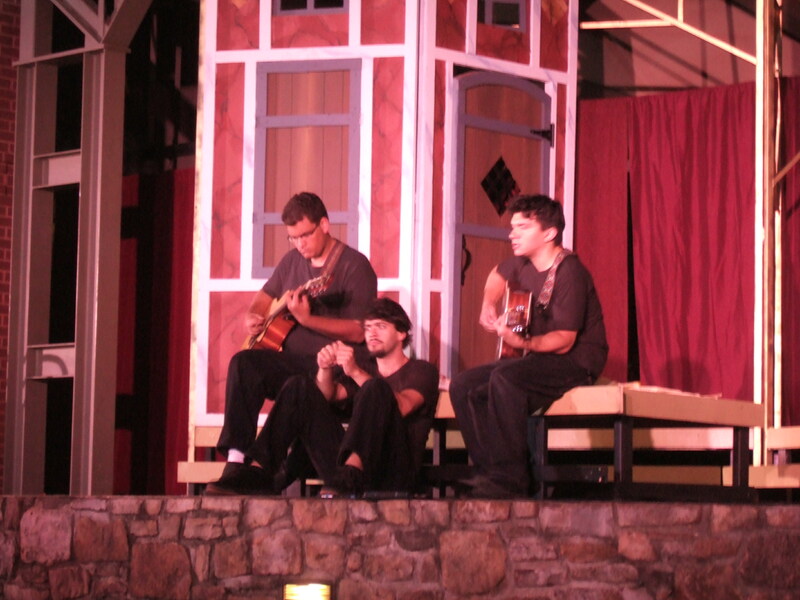 We have another group called Synetic theater that does a lot of Shakespeare… without the words. Then there are these regional theaters nearby like I’ve been posting about. And there are traveling shows that visit the local universities and theaters. Those are all professional shows… then there’s community theater all over the place, too… like the Midsummer Night’s Dream show I saw a couple months ago. If I want to see Shakespeare (or any kind of theater/concert/etc) around here, I can do it without a lot of effort pretty much any time I want (given the money and the time to go out). Oh, and then there’s the really artsy stuff. Like DC is having a fringe festival now and I saw that there was “Romeo and Juliet: Choose Your Own Ending” — http://dctheatrescene.com/2010/07/13/romeo-and-juliet-choose-your-own-ending/ Looked pretty funny! Did I answer your question? So… that’s the deal. DC maybe a little more vibrant arts scene than some other places. But I’ve also seen very nice arts scenes in small towns in America (and cheaper, easier to get to than stuff downtown here, which is a barrier for me), so I think it’s pretty common here. Maybe other readers will pipe in. Sorry to be the bearer of bad news! I don’t know why they don’t do it annually. I guess the Folger probably had a big grant to organize that for their anniversary. I was totally not into Shakespeare mode that year (busy with little ones) and other than knowing it was happening, I wasn’t aware of it at all. The RennFest people seem to me not necessarily into WS. I only went to one once and it seemed to me more about fantasy/dressing up/drinking than WS! But yeah, you’re right, there seems to be plenty of interest here in WS, so why not an annual festival?